Janet Jackson gave birth at 50. Supermodel Iman had a child at 48. Actress Geena Davis become a first-time mom at 46. Singer Gwen Stefani had a baby at 44. Mariah Carey welcomed twins at 41. Now, many American women are waiting until their thirties and even forties to have children. This is in contrast to women who were born in 1950. Reportedly, they gave birth to their first child before they turned 25-years-old. And there are many possible reasons why women are waiting longer to have kids, like more demanding careers, a desire for more leisure time, financial strains and advancements in fertility treatments. It is true that as women age, they may have more difficulty conceiving. “Women become less fertile as they age because they begin life with a fixed number of eggs in their ovaries. The number of eggs decreases as women get older. Also, the remaining eggs in older women are more likely to have abnormal chromosomes. And as age increases, women are at higher risk of disorders that can affect fertility, such as uterine fibroids and endometriosis,” reports the American College of Obstetricians and Gynecologists. But there is a lot that a woman can do to naturally increase her fertility later in life, and nutrition can play a huge role in having a successful pregnancy at an older age. If you are a woman in your forties who wants to have a baby, you need to think about eating for the health of your eggs. This holds true whether you plan on naturally conceiving or harvesting your eggs for egg freezing or fertility treatments. There are specific foods that may help with egg health, and, funny enough, one of them may be eggs. “Eating eggs improves the health of your own eggs,” according to this report. Green leafy vegetables, which contain folate and powerful antioxidants, may reduce oxidative stress and preserve egg health as well. 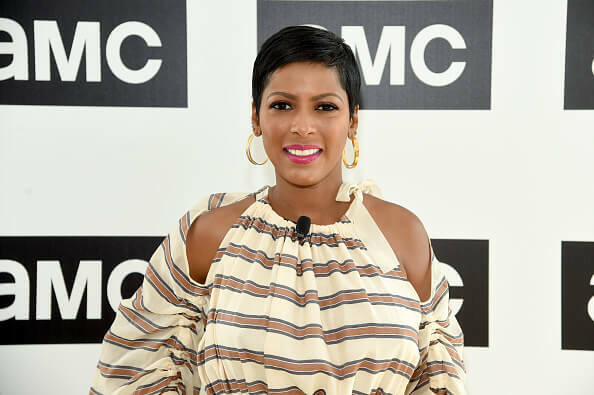 Tamron Hall said she usually starts her day with a green smoothie that may include kale, chia seeds and yogurt. Smoothies and juices are a great way to easily pack a lot of greens into your daily diet. Avocados are also a great food to include in your diet. Several reports say one of the most important nutrients for fertility is fat - healthy fat. Avocados are a rich source of monounsaturated fat, which may aid in fertility health. A general rule of thumb if you are trying to preserve your egg health, especially in your forties, is to eat a very nutrient-dense diet with plenty of fresh fruits and vegetables. According to Harvard Health, the following nutrients may boost fertility (especially for women who are trying to get pregnant). Vitamin B9 (folate). Folate is naturally found in certain foods including leafy greens, okra, bananas, sunflower seeds, brussel sprouts, asparagus, black beans, chayote, yeast, mushrooms, orange juice and tomato juice. Additional sources of folate can be found here. Something to be aware of is beef liver is high in folate, but other meats, poultry and seafood are not that high in folate. Vitamin B12 (cobalamin). You can read more about this essential B vitamin here. If you are vegan or vegetarian, you may especially have to be proactive about getting an adequate intake of B12. Omega-3 fatty acids. Omega-3s. Salmon, flaxseeds, chia seeds and walnuts are great sources of this critical nutrient. This does not mean that antioxidants and vitamin D are not important to include in your diet. It’s important to make sure you are getting an adequate intake of all the essential vitamins and minerals, however, avoid overdoing it. Too much vitamin A, for example, can be bad for a developing fetus. If you desire to have a child in your forties, speak with a competent healthcare professional about how you can improve your nutrition and increase your chances of having a healthy pregnancy. Finally, I highly recommend that you routinely take specialized nutrient tests, which can determine whether you have any nutritional imbalances. If you do, a competent healthcare professional can work with you on making the necessary dietary changes and possibly recommend quality supplements you can take.